Kanye West apparently really, really wants Apple to buy Tidal. On Saturday, the prodigious rapper took to his favorite mode of communication -- Twitter -- to urge the tech giant with its couple hundred billion in cash to "give Jay his check for Tidal now." There have been reports that Apple (AAPL) has been looking to buy Jay Z's streaming music company, Tidal, as part of its ongoing war against competitor Spotify. But apparently things have not been moving fast enough for West. "I need Tim Cook Jay Z Dez Jimmy Larry me and Drake Scooter on the phone or in a room this week!!!" West tweeted. West also tweeted that "This Tidal Apple beef is f***ng up the music game." In another: "We all gon be dead in 100 Years. Let the kids have the music." Tell us how you really feel, Ye. 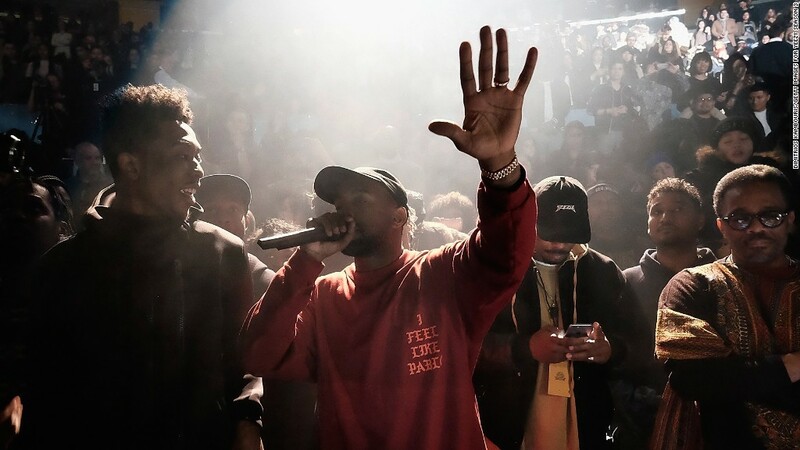 West's latest album, "The Life of Pablo," was initially offered exclusively on Tidal. Jay Z is West's mentor. He helped him transition from producer to one of the world's biggest -- and most controversial -- rappers. But friendship doesn't always equal profits, and Tidal has so far not managed to vanquish either Apple Music or Spotify. Tidal was unveiled to much hoopla in March 2015 as the first music service to be owned by artists. In February 2016 West vowed that his new album would "never never never" be available on Apple. A few months later, "The Life of Pablo" was available on both Apple and Spotify. At least one person seems to be on board with West's suggestion. His reported manager, Scooter Braun, retweeted West's call for a summit. "I will meet you guys there," he added. "Maybe nobu? 1230? Yellowtail anyone?"